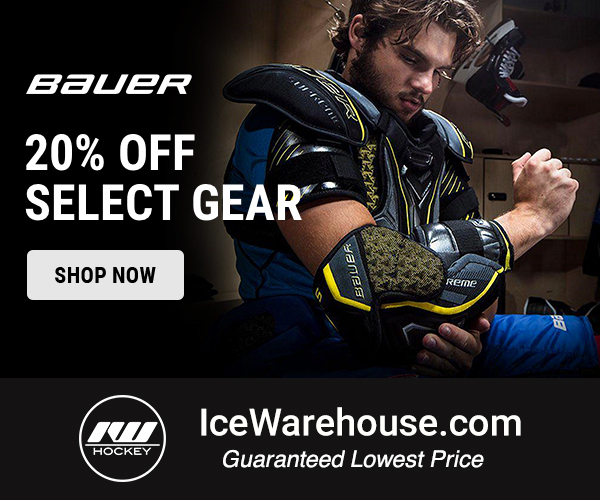 As summertime approaches and the warm weather rolls in, we know that hockey season is beginning to come to an end. Throughout the warm months, we often look to improve our game through training, while also enjoying the sunshine. One of the best ways to do that this summer is with a fat tire bike designed with your favorite NHL team colors from Hockey Fat Bikes. 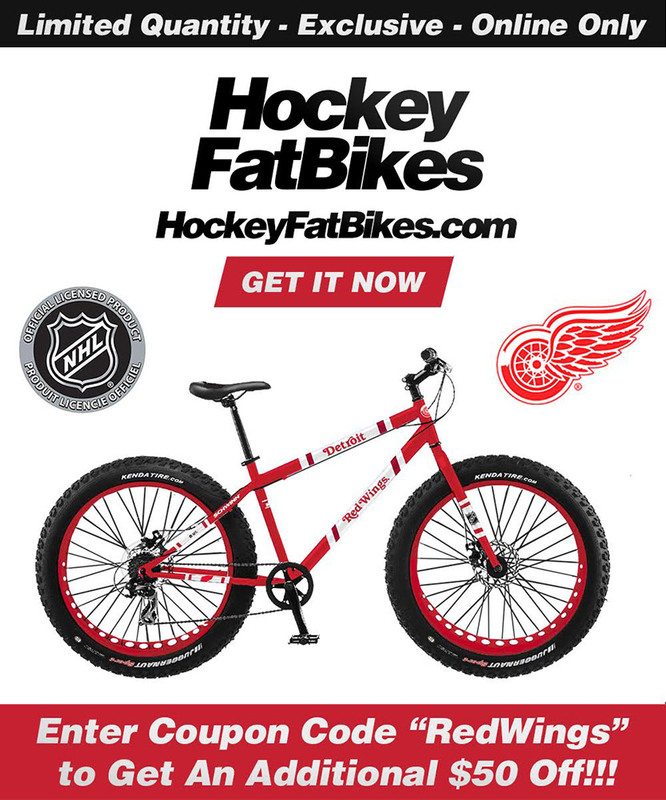 We recently partnered with Hockey Fat Bikes to learn more about their products, review a fat tire bike which they sent us, and score an awesome discount on a Fat Bike for our awesome readers. 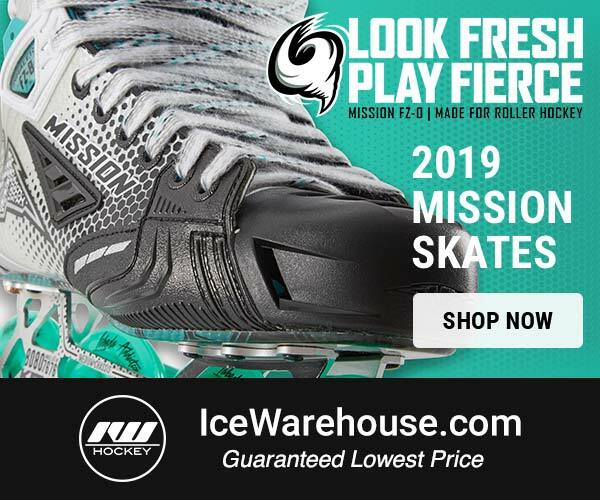 Read on for more details on our Hockey Fat Bikes review, as well as details on a coupon code you can use to save major bucks on your own purchase. The Hockey Fat Bike we received came in one very large box and thankfully most of the assembly was already taken care of. I have never assembled a bike before, but this was pretty easy to put together. The only major assembly required was putting the pedals on, attaching the handlebar, putting the seat in, and then mounting the front tire. The task may seem daunting when you first open the box, but I was able to put everything together in about an hour. In terms of the bike’s design, the one we received featured a Detroit Red Wings paint job since we are in the Detroit area. The bike is red and white to match the RedWings colors and includes some official logos in various areas throughout the frame. It really is a good looking design, and it’s a great way to show support for your team while you’re out for a ride. Riding this bike was a new experience for me. I have never been on a fat tire bike before, so I have nothing to compare it to. However, it has been an enjoyable experience taking this bike on road and off road. It’s a very comfortable and stable ride, and also provides a lot of confidence to me when going bumps, cracks, or holes, knowing how stable the bike is on its fat tires. After playing around with the Hockey Fat Bike for a week or so, I’ve realized that it’s a bike I never knew that I wanted. The versatility of it is tremendous as the bike can serve as a training and conditioning tool for me, or just allow me to cruise around whenever I want to go for a ride. I just wish there was a bit of snow so I could test it out there too. For more information on the bikes, check out HockeyFatBikes.com. The bikes typically sell for $655, but for a limited time, you can grab one for $555 and receive free shipping. To save an extra $50 on your purchase, bringing the bike price down to $505, use the coupon code REDWINGS. 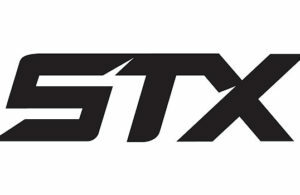 This coupon code will work for any Hockey Fat Bike of your choosing.